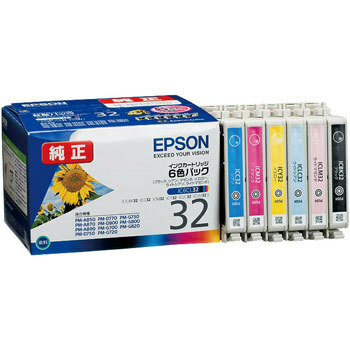 I have purchased recycled cartridges at neighborhood mass merchandising stores. I can not use it After all I have purchased a genuine item again. From then on we use genuine products. This review is about item#6785231. Since the ink of the ink jet printer disappears several colors, it is exchanged all at once. Because ink is expensive, it always gets lost when I buy it, when I buy substitute goods I return the idea that it is bad if I am bad and still not genuine. Still it is a bit cheap and I bought it because I always bought other items here as well. I would appreciate it if you think about something campaign and how to make it cheaper. This review is about item#06785231. I am saved because it is genuine and this price. Although I was using compatible ink before, the printer often breaks down, and genuine is still safe. Previously, I was using compatible ink, but it was easy to cause trouble and made it genuine. It is slightly expensive, but it is still safe. This review is about item#06785292. It is genuine goods as well. Previously, I bought a general-purpose ink, but the coloring was dark, the printing condition of the printer worsened during that time, and it returned to a genuine product. Since then, it's genuine but it does not cause any trouble. I can not say unconditionally, but general-purpose goods can not be trusted. It is still genuine. You can use it with confidence. This review is about item#06785265. It is used for printing salary details etc. I bought five items including another color, but all were sent out with the outer box crushed. Is the storage condition not good, packing is not good ...? The past bought goods were also weakly pasted and the seal was sent open from the beginning. Even if it can be used normally without any problem in quality, it is not considered as a genuine new item. Please think about some measures. This review is about item#06785283. I am using it for office work. This review is about item#08484752. This review is about item#06785247.